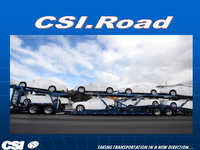 CSIRoad is an integrated business management software system for trucking companies. Features include: Quotes, CRM,, Dispatching, Billing, EDI, Settlement, IFTA RPT., Doc. Mgmt, Safety, Intermodal, Warehouse, Shop Maintenance, full suite of Accounting software, EOBR integration and more. Apps for Driver: Logs (InstaTime), Dispatch (MyRig) and Load inspection (MyVins). Powerful Analytics and Integration tools. 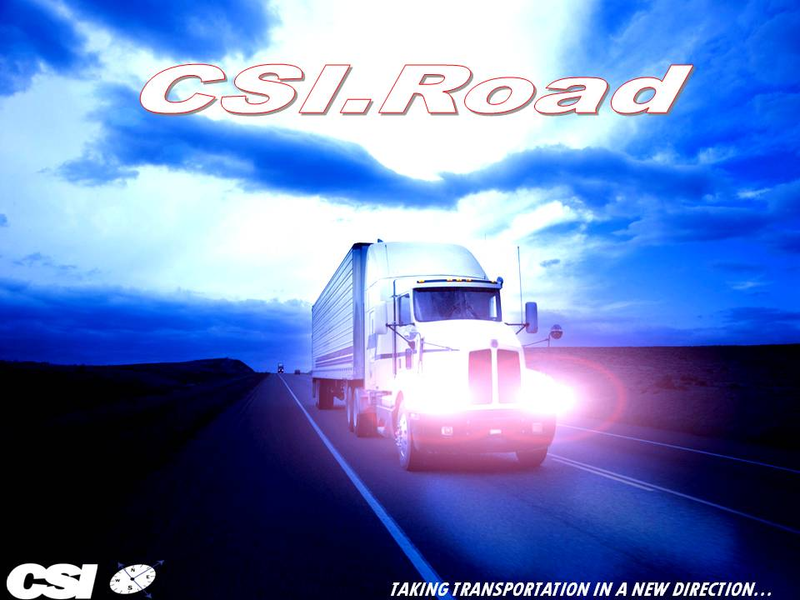 CSIRoad : Dot Net and MSSQL database. Modular, Flexible, FAST. 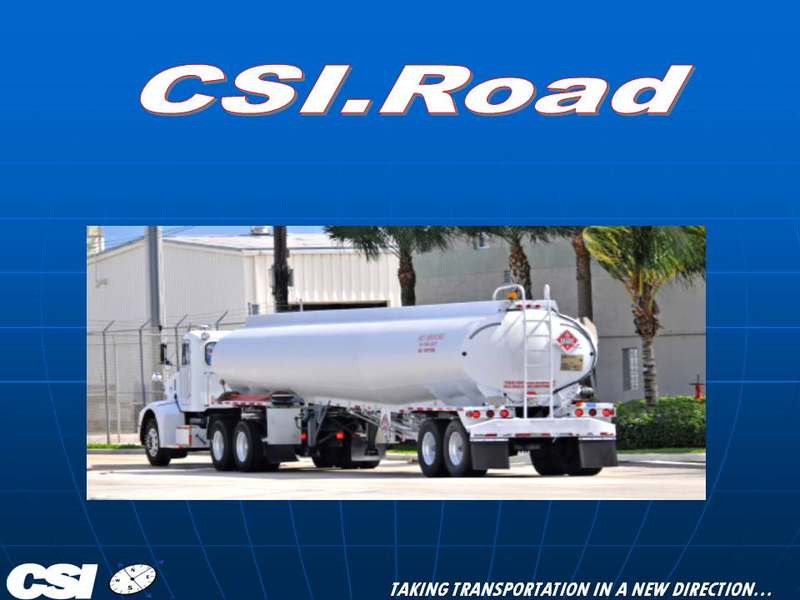 Comments: We have a good relationship with CSIRoad and their product for over 15 years. We only utilize a small portion of the overall product features. The software is very adaptable to our needs and is compatible with our primary accounting system. Service and Support from CSI is excellent, keeping our system up to date as well as quickly addressing any issues (few and far between) that may pop up! Comments: We have been a customer since 2000. CSI has always been sensitive to our changing needs. They have always been able to come up with a solution to any issues we have. The are quick to fix any problems and conflicts with the software. Pros: The ease of use and the functionality. Overall: Overall experience has been great. Anytime we have a question or concern, CSI has been quick to respond and help us in any way that they can. Cons: Some components of the system have multiple steps to get to the end. 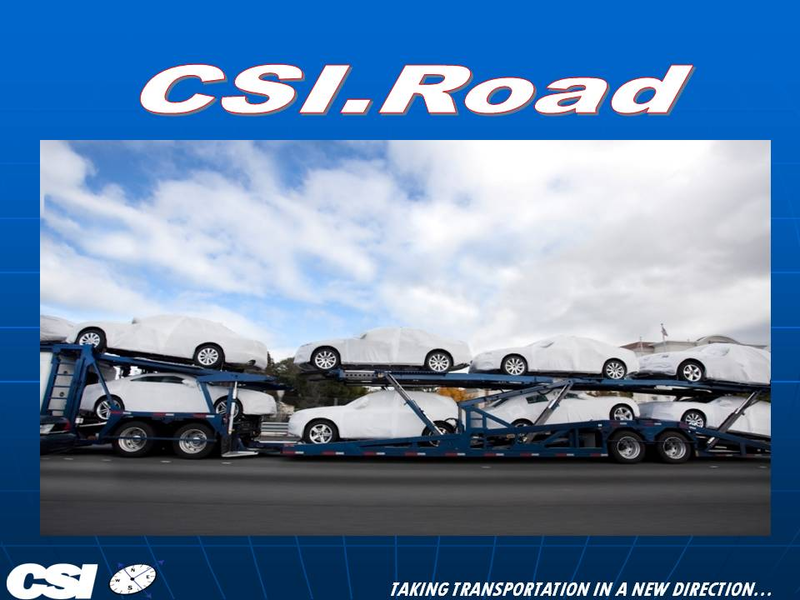 Overall: As a new company starting from the ground up, CSI Road was a great choice. From the initial contact to continued customer support, CSI has been there for us. We are a specialized carrier and CSI fits our needs. 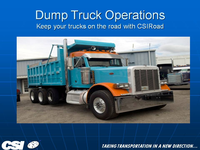 I have been in the Trucking business for 29 years and have used numerous programs, this software does it all! The training is geared for your own pace.....one on one hands on training for each component of the program has worked well. 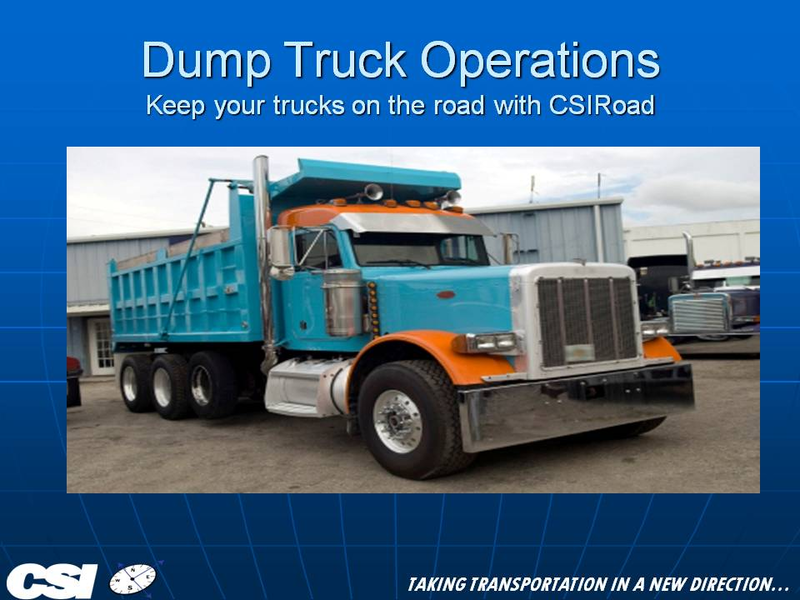 I would recommend CSI for anyone in the trucking industry looking for new software. Comments: My experience with the software and the customer service support has been excellent. I adopted to the system well. Mainly do to customer service support especially in the area of patience and answering question(s) fully and guidance as well. Comments: I have been working with CSIRoad since November of 1999. Their fast response and ability to modify our system allow us to improve efficiency quickly. As a result, the software has evolved with the needs of our clients. 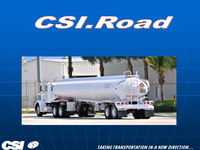 In an industry where service also relies heavily on integration, CSIRoad has been an invaluable partner. Comments: LOOKING FOR A TRUCKING SYSTEM THAT WILL BE ABLE TO DISPATCH,MAPPING (BEING ABLE TO INPUT ALL OF OUR CLIENT INTO THE SYSTEM), FUEL, & AT THE END OF THE DAY BE ABLE TO PUT THIS INFORMATION INTO OUR SYSTEM AND PRINT OUT A REPORT FOR OUR CLIENTS. Comments: For what I use it for, it works. I do wish some of the reports had more options. Customer Support is always helpful.